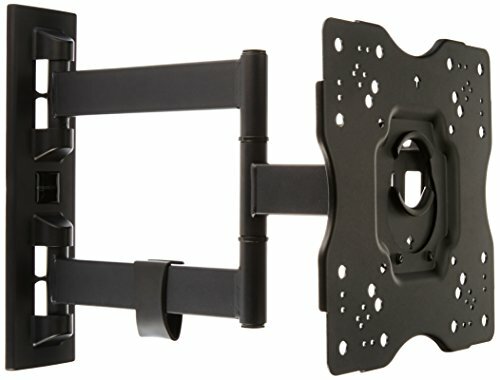 For this post, I have put together a collection of the best TV wall mounts currently available. In addition to getting the right mount for your specific TV, be sure to validate what wall material you will be mounting to. Most TV's are too heavy to secure only to drywall, so make sure you mount it to the wall studs, typically spaced 16" - 24" apart. Mounting to a concrete or block wall will require special hardware that may not be included. The following best TV wall mounts use the latest innovative components to meet your needs. So here is my list of The 10 Best TV Wall Mounts. 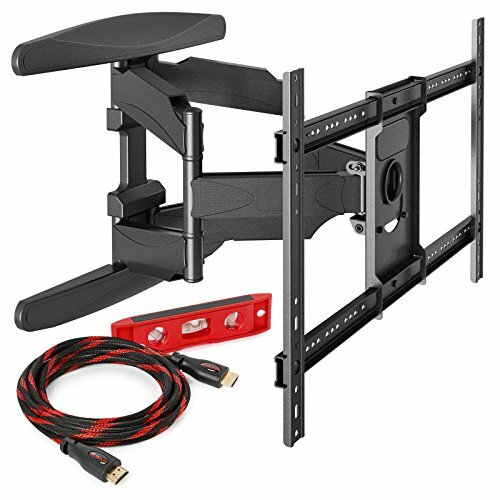 The Mounting Dream MD2380 fits most of the 26-55" TVs sold today with mounting holes as close as 3" x 3" or as wide as 16" x 16". Articulating arm, this mount retracts to 3" to the wall to save space, and extends up to 15.2" from the wall. +5°/-15° Tilt, +/-45°Swivel and +/-3° rotation for maximum viewing flexibility, provide smooth adjustment for all directions, making it easy to view your TV from multi-angles. Constructed with heavy duty steel materials with durable powder coated finish. Supports TV's up to 99 lbs. Comes with bubble level and 6' HDMI cable. Supports 3D, Ethernet, 1440P and Audio Return conforming to latest HDMI 1.4 Standard. 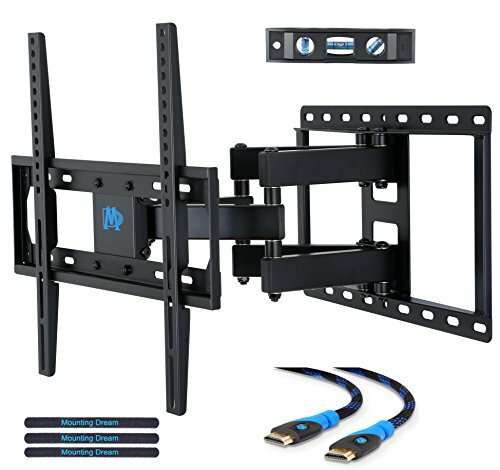 Ships with hardware for both wall and TV mounting but concrete anchors are not included. 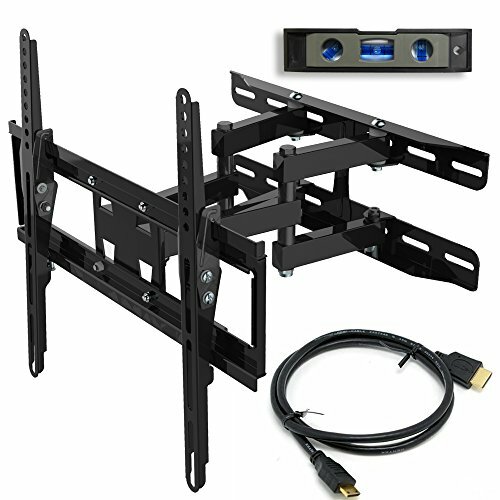 The VideoSecu MW340B2 is a low profile full motion TV wall mount that fits most 32-65 inch TVs. Features two articulating arms for added strength. Flat depth of only 2.3 inches. Swivel and tilts to provide viewing angle options. Designed to be mounted to wall studs. 100 x 100mm to 400 x 400mm mounting hole pattern. Mount fits virtually all 20-65" TVs sold today with VESA hole patterns from 50x50mm (2x2”) to 400x400mm (16x16") and up to 115lbs. Articulating arm extends up to 14" from the wall yet collapses to 2.7". The mount allows for up to 130° swivel and 10° tilt. The APDAM3B can be mounted to two standard 16” Wooden studs as well as all types of masonry. Echogear tilting TV brackets let you tilt the screen down to reduce reflections from windows and ambient light. Another major benefit of choosing a tilt mount is a low profile. We built this mount to hold your TV close to the wall. Mount above eye level, like above a fireplace. The swing arm TV wall mount for LED LCD TV Monitors, makes it easy to view your TV or Monitor from different angles. Fits TV or Monitor with VESA 75x75(3"x3"), 100x100(4"x4"), 200x100 (8"x4"), 200x200 (8"x8"). Maximum loading capacity 44 lbs. This dual link arm wall mount gives you 15" extension from the wall with maximum flexibility. You can also fold it close to your wall for a low-profile appearance. Removable TV plate designed for single-person installation. Post installation level adjustment to ensure perfect level. Pan, tilt, swivel, and roll function provide smooth adjustment for all directions. Durable steel construction with black powder coated finish. Common mounting and screen attachment hardware included. 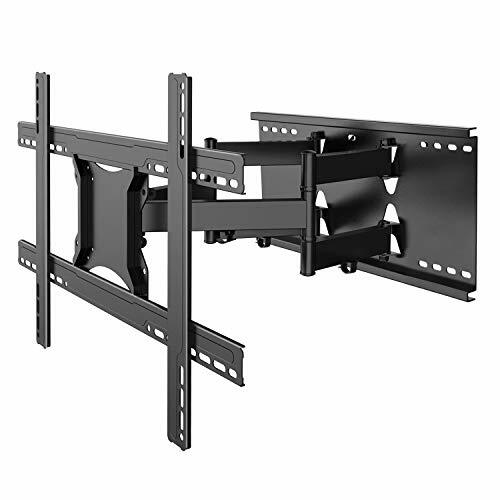 The Everstone articulating TV wall mount is a mounting solution for 23"- 65" using six arms. High-grade Cold-rolled Steel Construction provides safety loading. 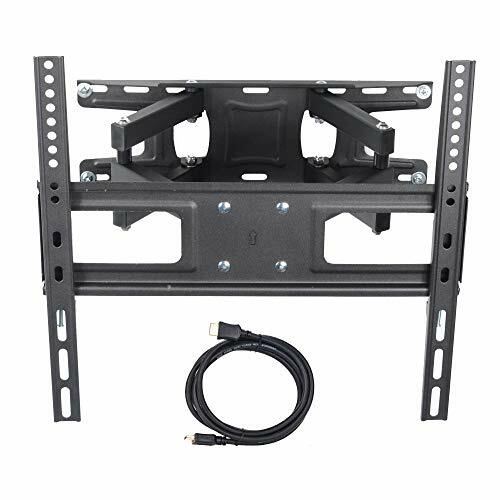 Tilting bracket fits most of 23"-65" TVs up to 88 lbs with max mounting holes 400mm x 400mm. Holds your TV 2.75" from wall and extends up to 14" out from wall. 15°Tilt and 180° Swivel meet your needs better. It will move easily and freely, no tools required. ±3° Post-installation level adjustment allows the TV to perfectly level. Only fits for concrete wall or 16" stud installation. Easily holds up to 132 lbs. Works with 16” wood studs. Enables you to effortlessly turn the screen to wherever you want to watch with patented “smooth as butter” technology. 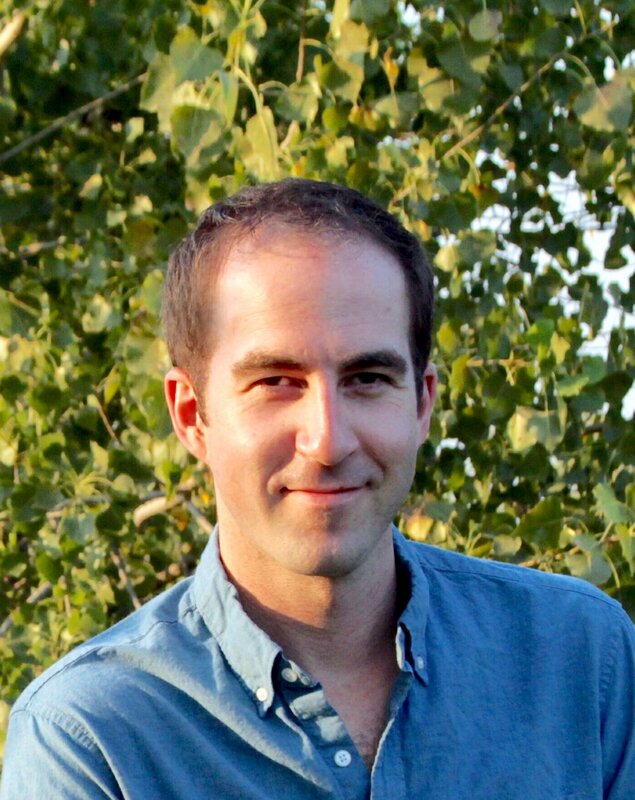 Get an easy 3-step install process. Made to be compatible with almost every TV, this DIY project can be done in under 30 minutes. 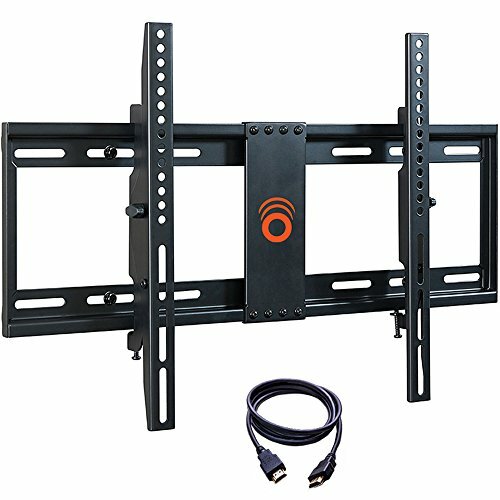 AmazonBasics Articulating TV Wall Mount for 22-inch to 55-inch TVs. 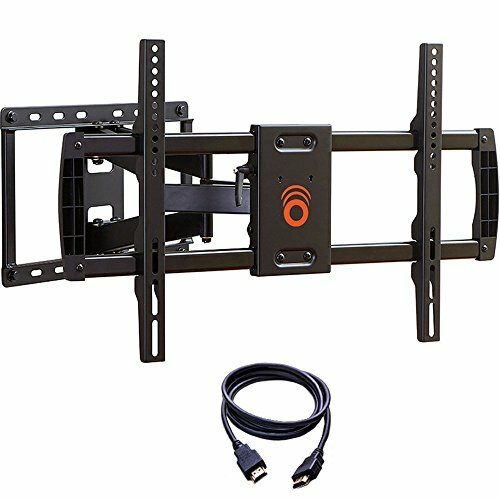 The TV wall mount accommodates 22-inch to 55-inch flat-panel TVs, and it provides everything needed for easy mounting. The TV must have a VESA 400mm mounting pattern or smaller. VESA pattern mounting holes should be 100x100 – 400x400mm apart from each other vertically and horizontally for the bracket to fit. The articulating TV wall mount keeps the TV as close as 2.6 inches from the wall for out-of-the-way convenience—and can extend the TV out into the room by up to 16.3 inches. Swivels left and right 180 degrees. 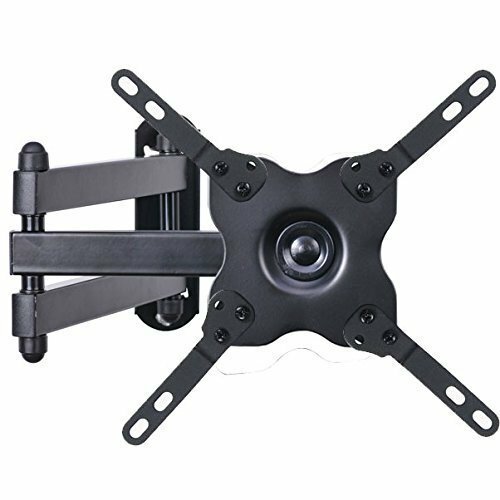 Between the adjustable tilt, swivel capability, and articulating design, the wall mount offers optimal viewing from anywhere in the room. Made of heavy-duty aluminum and powder-coated steel, the TV wall mount ensures reliable strength and built-to-last performance. The single-stud wall mount effortlessly supports the weight of a TV (up to 80 pounds). The TV wall mount comes with a cable-management system, which streamlines cables and cords, keeping them safely out of the way. This premium articulating mount is designed to universally fit most LED, LCD, Plasma TVs and other flat panel displays from 42” to 70”. This unit is designed to use the standard VESA patterns installed in almost all flat screen TVs with a range of 200mm x 200mm up to 400mm x 600mm. Constructed from commercial-grade, heavy-duty steel, and high-quality barrel hinges, this sturdy unit is rated with a capacity up to 100 pounds. The smooth-motion, articulating design allows for tilting, panning, and extension to find the perfect viewing angle. The arms of the television mount can be extended up to 20 inches from the wall or retracted back to within about 3 inches. In addition, the TV can rotate up to 160 degrees left or right and the tilt can be set from +8 to -5 degrees to find your ideal settings. Convenient openings in the arms and back plate provide space to pass cables and wires through for a clean and uncluttered look. Articulating arms and back plate are pre-assembled right out of the box and the step by step instructions will guide you through the simple assembly and installation process. 6 inch magnetic level to help you get the perfect installation. Includes a 10' HDMI braided nylon cable with gold plated connectors. The Perlesmith Full Motion TV Wall Mount fits 37-80 inch Curved or Flat TV’s. Adjustment allows the user to extend, tilt, and swivel the TV between 2.2″ and 18″ from the wall. Six articulating arms ensure stability and strength. Wide-angle swivel allows adjustment from -60 degree to +60 degrees. Includes cable management system for a clean, sleek look. 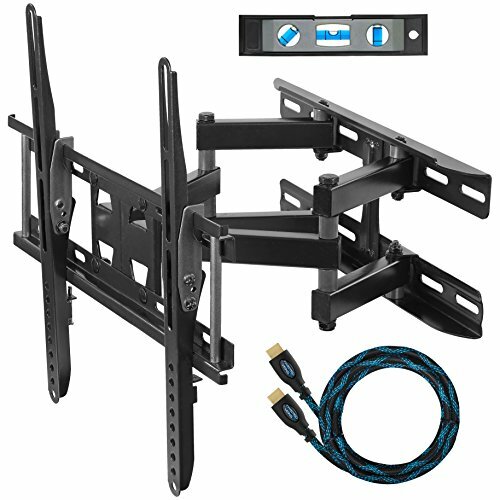 I hope this list of the best TV wall mounts was helpful.